Doc Ebersole is a disgraced physician, who lost his license and is rumored to have given Hank Williams his fatal does of morphine. He spends his days performing abortions, patching up knife and gunshot wounds while trying to earn enough to keep his own heroin habit afloat during the early 1960’s in a down and out area of racist San Antonio. He takes care of a young Mexican girl, Graciela, who almost dies from blood loss and she stays with him long after her recovery. Doc is haunted by the ghost of Hank, who goads him into his continuing drug use, but now finds that Graciela can see him and helps cure Doc from his addiction. There are more miracles at the hand of Graciela where people are uplifted and their maladies cured quickly. The local priest gets wind of the miracles and begins to investigate which leads to the an interesting conclusion. I am just amazed that this first novel from Steve Earle is so tightly paced and cleverly written. It reminded me a great deal of the wackiness that appears in Christopher Moore’s books through the ghostly voice of Hank Williams. There are also the magical properties like in Sarah Addison Allen’s stories where under-the-radar miracles occur quietly in the form of Graciela. The story mixes Catholicism with Mexican folklore during the early Sixties where social change is so prevalent and ties it all to the shooting of JFK. This work helps you understand why Steve Earle is such a successful songwriter since this book is so lyrically alive and paints a wonderful picture with an economy of words. This is the perfect book for any one looking to expand their paranormal horizons with a bit of magic and ghosts. Earle has written a masterful reflection on loneliness, addiction, despair and redemption. With the hand of a seasoned writer he weaves in abortion, liberation theology, Mexican theological mysticism and an indictment on the moral bankruptcies of the priesthood. This is not an easy tale. It is grit and dirt and despair. But oh, is it beautifully written and chock full of characters worth remembering. Read it. 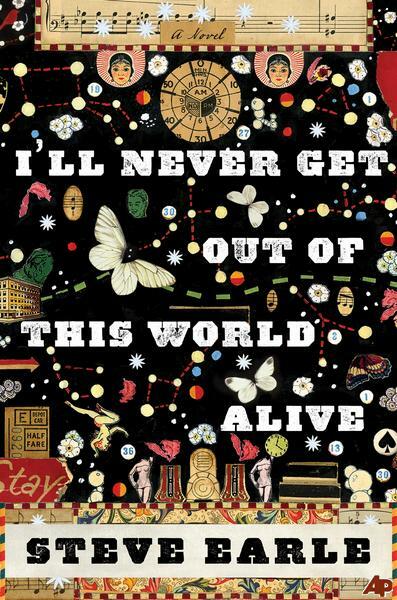 This entry was posted in Books, Fiction, Harvill Secker, Literary Fiction, Random House UK, Review and tagged Hank Williams, I'll Never Get Out of this World Alive, magical realism, Random House UK, Steve Earle on July 29, 2011 by thehungryreader. The first thing I thought of when I completed this book was how easy most kids have it in our part of the world. That’s not a bad thing, but perhaps it would be good for our pampered children to see how the real world is, and how an alternate reality is the case for most of the children worldwide. The novel starts out explaining that it’s fictionalized, as the experiences told were based on true recollections that had to be verified. For the most part, though, it’s true as to what he remembers of his childhood. That makes sense, because it starts with a ten-year-old boy, and how clearly can their recollections be from their youthful perspective? Akbari’s mother takes him across the border and out of his village and leave him there. She leaves him to a life of the unknown, hoping it is better than what is in store for him with the Taliban in power. We often hear the word and shrink of its visage, get angry with its connotation, or conjure of an image of a turbaned warrior with dusty skin and a Soviet automatic weapon. In reality- the Taliban play a very small role in this book- they are offered up as a reason for escape, but nothing more. Akbari makes his way across the middle east and into Europe, eventually settling in Italy. Over the course of his journey he relates a sea crossing, getting deported multiple times, run ins with the police, and finding friends, kindness, and hope along the way. The story is stark- details are not really fleshed out with the insistence that they don’t matter- he is trying to tell a story, trying to capture the essence of his journey and has no time for the subtle nuances we come to expect in situations like this. Not deeply philosophical, this might be a turn-off for some. Along the way there are false friends, painful losses, and some agonizing choices. It’s hard to imagine this is just a kid. What he has to go through is too much for an adult, much less a child. In the narrative, there are pauses when the storyteller and the Italian author who writes it converse. These sort of bring you to present day. It’s an interesting presentation. They sort of help you digest what you just read. There’s very much a sense of “once upon a time” to this. Some facts that astonished me was that the Taliban is made up of members that are of many ethnic groups, not just Afghanistans. I knew they were bad but their oppression is senseless. Also, I was amazed at his resilience. The way he kept going despite being abandoned. A really good read, and I think it would be valuable for some spoiled kids to read and get a clue how well they have it. I know I’m making one of my kids read it, just for the reality check. There is violence but nothing outrageous. 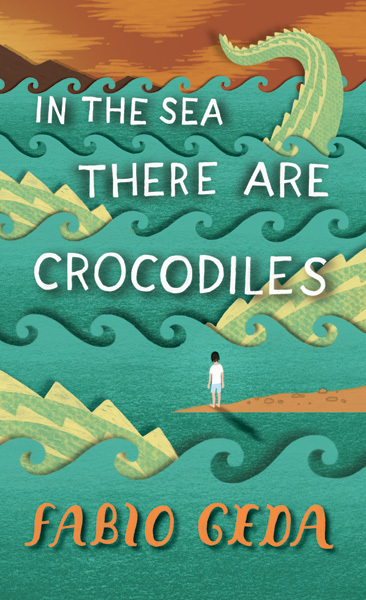 This entry was posted in Books, Harvill Secker, Non Fiction, Random House UK, Review and tagged Fabio Geda, Harvill Secker, In the Sea there are Crocodiles, Non-fiction, pakistan, Random House UK, Taliban on July 28, 2011 by thehungryreader. This is the season of mystery and crime when it comes to the kind of books I have been reading. Mystery is on the top of the reading list and frankly I am enjoying the experience. 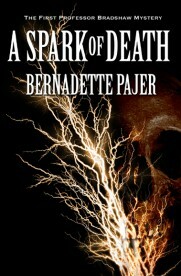 A Spark of Death by Bernadette Pajer is one amongst such books which kept me up all night. It had me going from the first word and has been quite a ride. It is one of those historical mysteries that you might be skeptical about; however, it is a great read. A Spark of Death is the first in the Professor Bradshaw Mystery series. This also happens to be the writers’ debut book. The novel is set at the dawn of the 20th century in Seattle, Washington. Bradshaw is a young professor at the University of Washington who is accused of murdering his colleague through an electrified metal contraption on campus. Bradshaw then sets off his investigation in the true-blue Arthur Conan Doyle fashion where everyone is a suspect. This coincides with the trials and experiments to discover electricity, which is portrayed brilliantly throughout the book. At one point the locals are scared of technology and that rings true on so many levels – primary being the idea of rejecting anything that is new. As a primary character, I found Dr. Bradshaw quite affable. He is a man of logic who is also trying to deal with his emotional demons, and yet not losing sight of the case. For readers, who enjoy the historical fiction genre, there is the side-plot of the discovery of electricity which is written in a detailed manner. The secondary characters were also efficiently crafted- my favourite being, “Missouri Fremont.” Someone that is bold, brash and exactly the type of woman every girl would like to be. There is not a dull moment in the entire book. For a first book, Bernadette has ensured that the plot is tight and makes you want to keep turning the pages to get to the end faster than the blink of an eye. The research that is undergone to write the book is lucid in its pages and the reader can tell that the writer knows what she is talking about. Bernadette Pajer makes the reading come alive with her descriptions and keen eye-for-detail. For instance, when you read about electricity and its beginning, you can actually see and experience it take place right before your eyes. I would highly recommend the book for someone that loves a good mystery mashed with good old historical fiction. This entry was posted in Books, Fiction, Review and tagged A Spark of Death, Bernadette Pajer, crime, murder on July 18, 2011 by thehungryreader. This is a succinct novel told from the point of view of a man obsessed. The reader follows the narrative through the eyes of the main protagonist, a jailed artist, Juan Pablo Castel, explains why he murdered a woman. He recounts the story of his intense, destructive relationship with Maria: it begins with a fleeting, seemingly inconsequential moment but turns in to an obsession which consumes him completely. This is written in sparse and succinct sentences which makes this easy to read but nevertheless the reader can relate totally with the narrator. You the reader start to understand and share his obsessions and frustrations. The narrative voice is aggressively intellectual, but almost delirious, as Castel veers between self justification and self loathing, whilst trying desperately to fight against his own destructive impulses. But it’s also funny, and planted enough in reality that you can identify with his painful shyness, his jealousy, and his compulsion to find this woman and somehow ‘possess’ her. Anyone who has ever admired someone from afar, yet felt completely paralyzed when in their company will appreciate how brilliantly written these parts are. Castel is well-named: he is an artist whose intellectual arrogance creates a castle in which his own psyche runs wild, uncompromised by the views of others. We follow him through the cold, hard passages of his mind as thoughts and fantasies feed on themselves and paint an increasingly perverted view of the world. 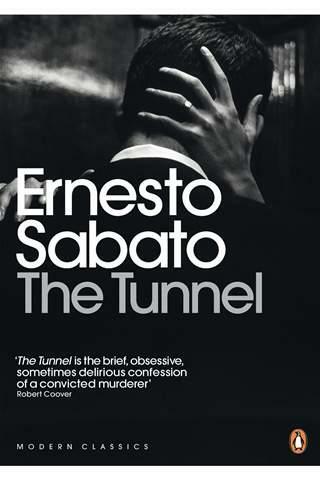 Sabato creates another metaphor in the book’s title The Tunnel, referring to Castel’s sense of going through life cut off from everyone else. The imagery is subtle yet satisfying, and the story echoes Camus’ The Outsider, although Castel is very much an Insider too, trapped in his own mind. There is irony too: as an abstract painter he cannot deal with the abstract responses of Maria, demanding empirical truth and solid facts. Denied them, he creates them for himself. This entry was posted in Books, Classics, Literary Fiction, Penguin Modern Classics, Penguin UK, Review and tagged Ernesto Sabato, penguin, penguin modern classics, The Tunnel on July 15, 2011 by thehungryreader. I haven’t read Amelia Gray prior to this book and I was wondering Why Not and honestly I could draw only one conclusion: I was a fool but not for long as I have discovered her writing and she is beyond excellence. AM/PM takes you to areas and places you can’t imagine. I had a tough time writing this review, because this book is not an easy read as well. It is challenging and it stretches your mind and imagination, so for one: Be prepared. This book looks like flash fiction, and that’s a shame because I think it may turn off some people who would enjoy this book. Rather it’s just a bunch of short kind of interconnected little episodes from a recurring group of peoples’ lives. From the banal to the outright absurd; to I guess what would be harsh rules for cats followed by a cats argument for why they should have ownership over something they have made warm with their body and cozy with their claws. 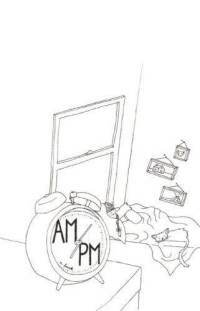 AM/PM is a collection of 120 micro stories, all only about 100-200 words. Many may dismiss such short stories, but truly, these quick reads had more heart than a lot of other short stories I’ve read. Each story in AM/PM is a study in excellent sentences. Gray chooses her words carefully, and the result is sentences that hit you in three places all at once, sentences that can be funny, sad, and absurd. I read most of these stories at least twice, sometimes three times. These aren’t vague, self-indulgent stories written by some trend-watching wannabe. They are real, and they pack a punch. Certain characters have their own stories while also mingling with characters from other stories, which lends the book a neat interweaving thread. We get glimpses into the most private aspects of other people’s lives, their secret loves, joys, and desperation. This entry was posted in Books, Featherproof Books, Fiction, Literary Fiction, short stories and tagged AM/PM, Amelia Gray, Featherproof Books on July 14, 2011 by thehungryreader.